• For the ultimate experience, get up even closer with our intimate and unique animal encounter experiences. • Take wing to Australia's Top End, with its distinct wet and dry seasons and consistently 33C degree average temperature. • A pair of beautiful Tasmanian Devils now call WILD LIFE Sydney Zoo home. • Head to Gum Tree Valley to meet Australia's most famous animal - the koala. • Head to Wallaby Cliffs in the Flinders Ranges to meet Australia's prettiest wallabies. • Delve into Queensland's ancient Daintree Rainforest, home to the amazing cassowary. 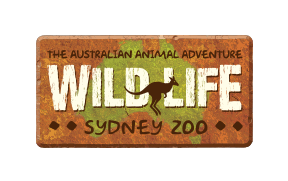 • Your chance to meet two iconic Aussie animal species: Grey Kangaroos and Agile Wallabies. • Head deep into the night and discover nocturnal animals such as bats, quolls, possums and gliders.